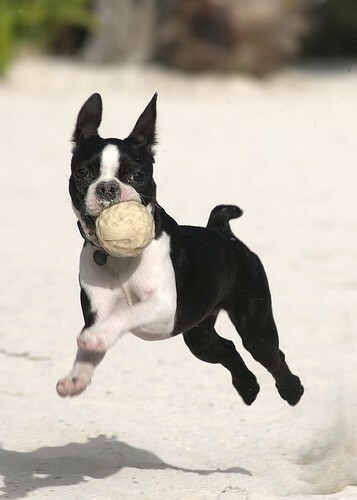 The Boston Terrier - a native American breed - is known for his sunny disposition. 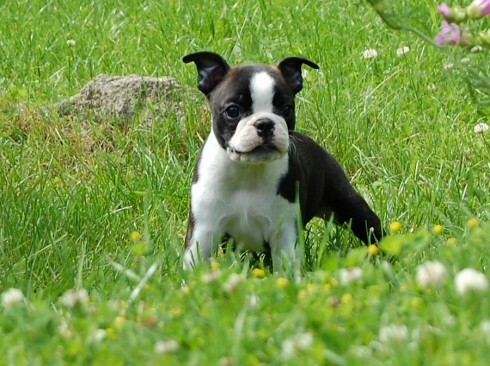 He is happy to know you and to be your friend, and is content to live in the city or country. 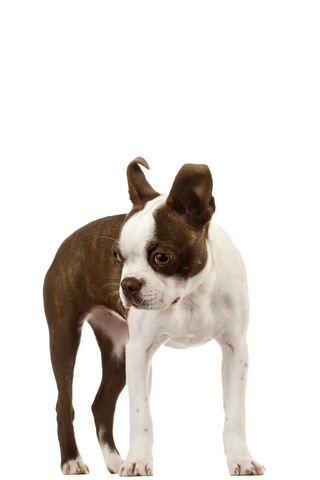 Even though they are small, they'll bark to let their family know if someone is at the door. 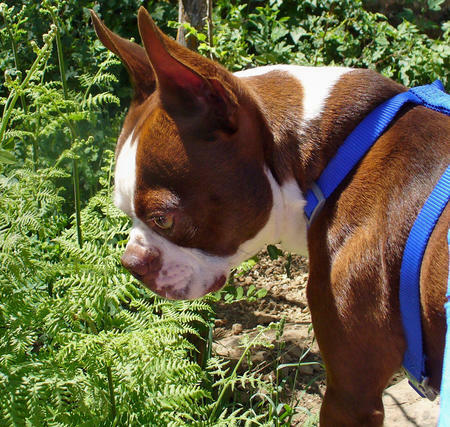 The Boston Terrier is a highly intelligent dog. 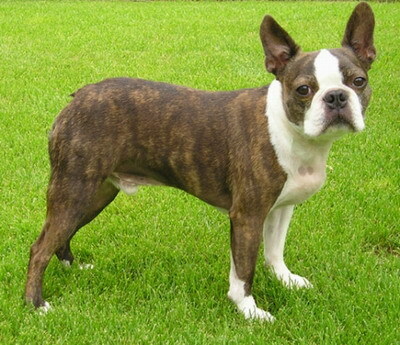 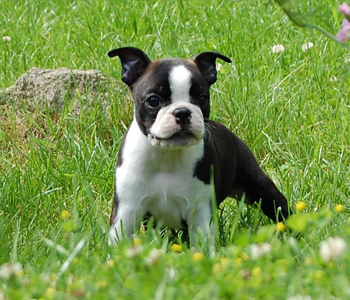 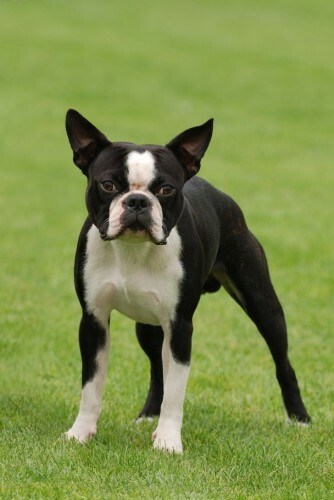 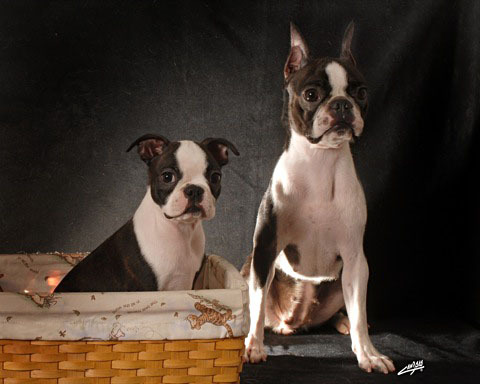 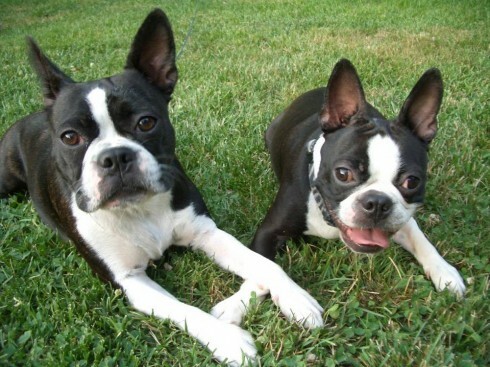 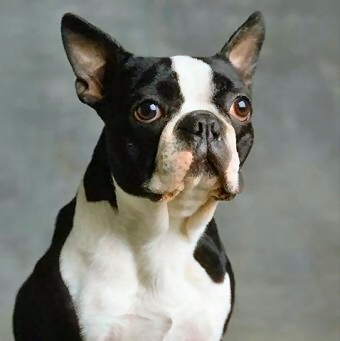 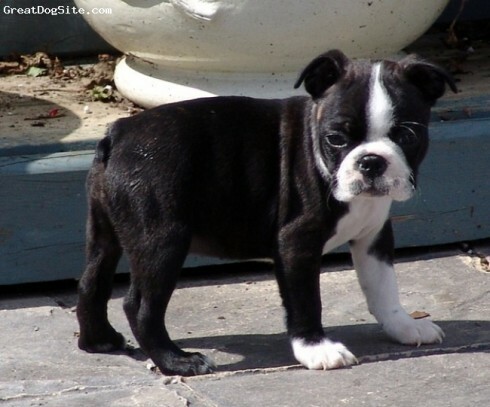 The Boston Terrier is one of America's native breeds having been developed in Boston, MA. 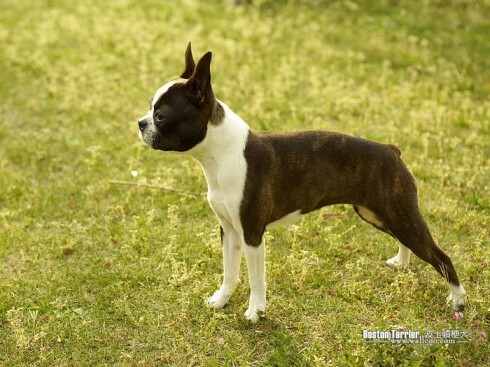 The Boston Terrier is also sometimes called "the American gentleman among dogs." 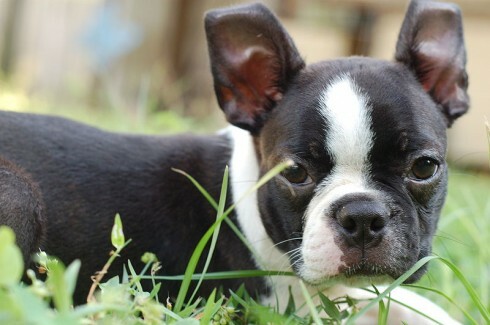 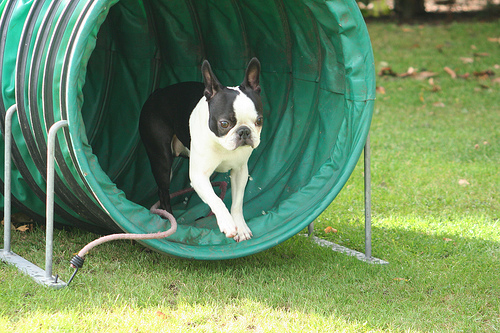 So you want to own a Boston Terrier? 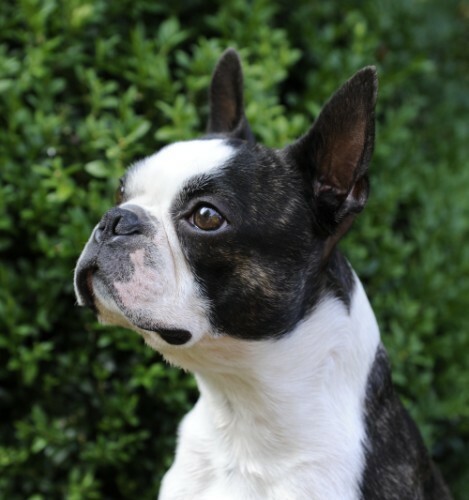 His coat is easy to care for when it comes to grooming, a few strokes with a soft brush will keep his short, smooth coat gleaming. 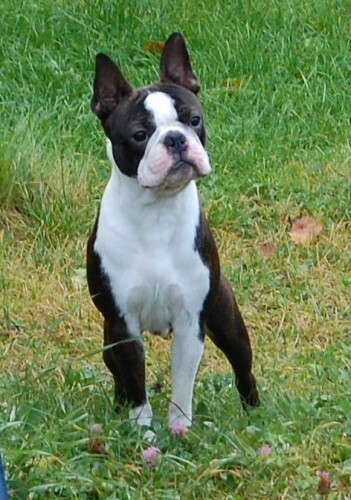 He is loving and sensitive, merry and bright, at times a clown and has a deep love for his family and children. 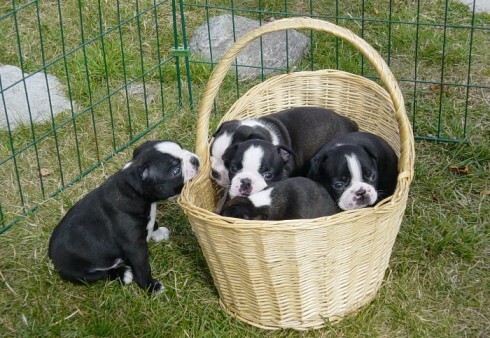 Usually he will get along well with other family pets if introduced to them at a young age. 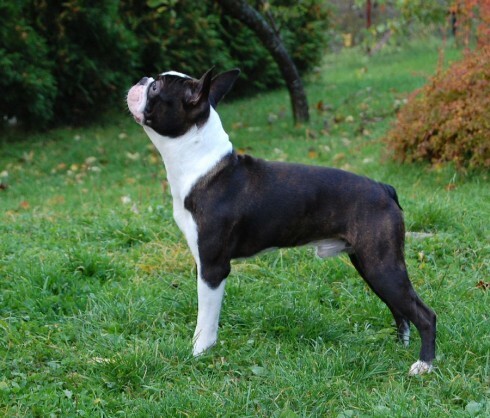 Smooth-coated, short-headed, compactly built, short-tailed, well balanced dog of medium size, brindle in colour, evenly marked with white. 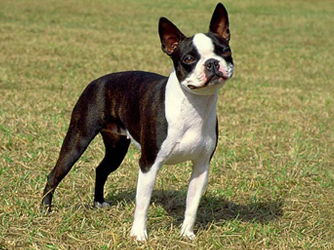 Body rather short and well knit; limbs strong and neatly turned; tail short and no feature so prominent that the dog appears badly proportioned. 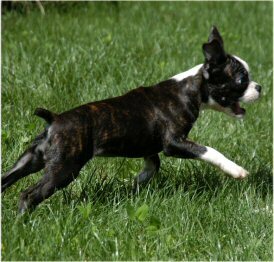 Dog must convey an impression of determination, strength and activity, with style of a high order; carriage easy and graceful. 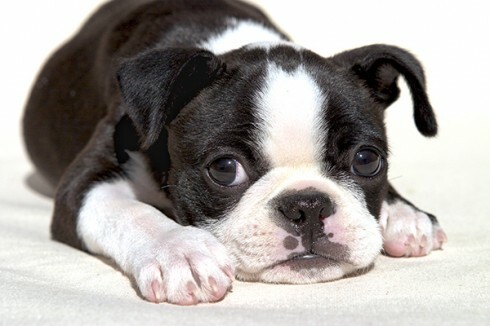 Skull square, flat on top, free from wrinkles; cheeks flat; brow abrupt, stop well defined. 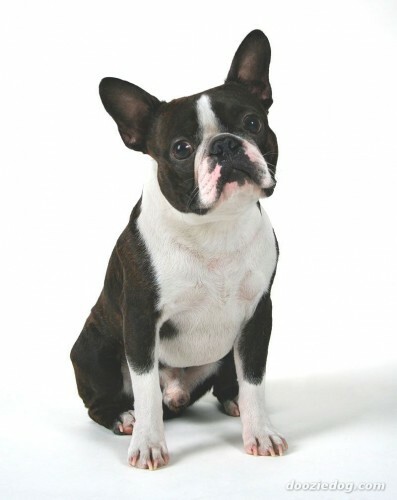 Muzzle short, square, wide and deep with no tendency to taper and in proportion to skull; free from wrinkles; shorter in length than in width and depth, approximately one-third of length of skull; width and depth carried out well to end; muzzle from stop to end of nose on a line parallel to top of skull; nose black, wide with well defined line between nostrils. 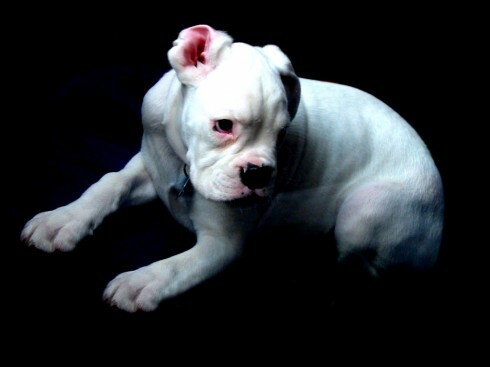 Jaws broad and square. 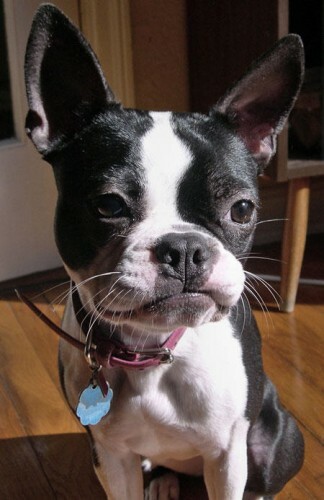 Flews of good depth, not pendulous, completely covering teeth when mouth closed. 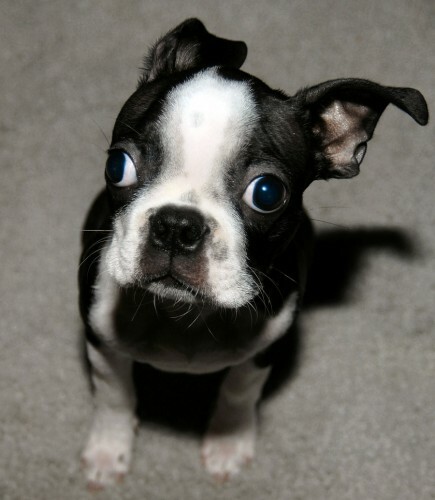 Head in proportion to size of dog. 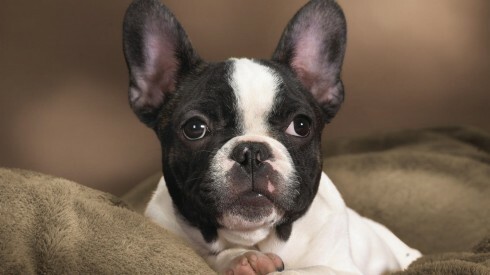 Wide apart, large and round, dark in colour; expression alert, kind and intelligent. 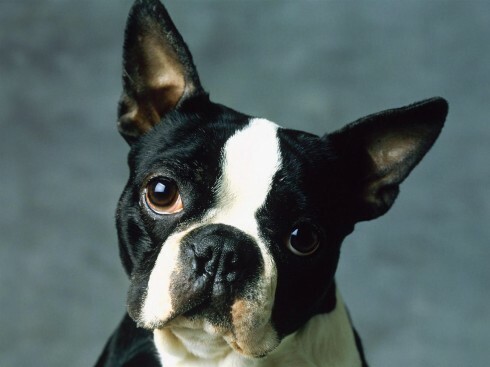 Eyes set square in skull, outside corners on a line with cheeks when viewed from front. 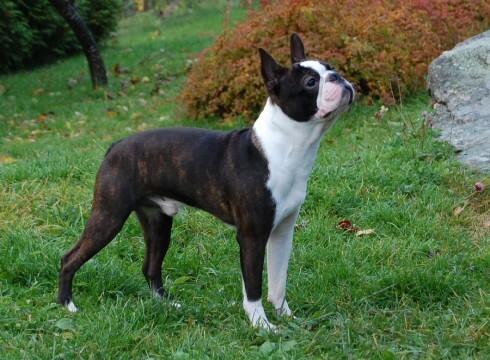 Brindle with white markings; brindle must show throughout body distinctly; black with white markings but brindles with white markings preferred. 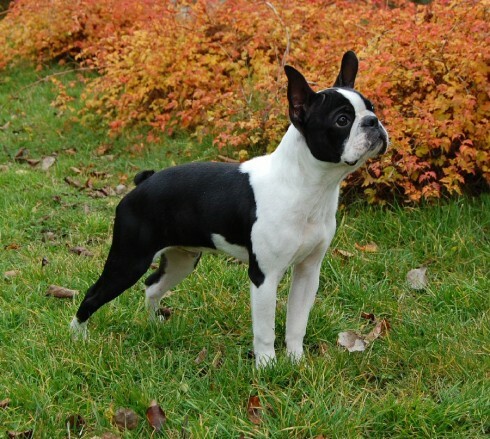 Ideal markings: white muzzle, even white blaze over head, collar, breast, part of whole of forelegs, and hindlegs below hocks.